The former governor of Bihar won with 66 per cent of the votes with the support of the Hindu nationalist party of Prime Minister Narendra Modi. A foregone conclusion, the outcome confirms the prime minister’s political acumen. The next Union elections are set for 2019. Once marginalised, Dalits are courted today given their size (16 per cent) in the electorate. New Delhi (AsiaNews) – Ram Nath Kovind, 71, has been elected India’s 14th president. 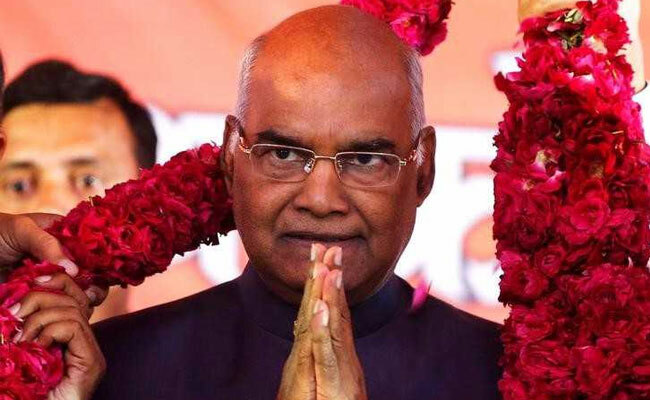 A Dalit, the former lawmaker, Supreme Court advocate and governor of Bihar, was put forward by the National Democratic Alliance (NDA), the coalition led by the Hindu nationalist Bharatiya Janata Party (BJP). With 66 per cent of the vote, he defeated his main rival, Meira Kumar, also a Dalit, who was backed by the United Progressive Alliance headed by the Congress Party. In his native village, in Uttar Pradesh, BJP supporters took to the streets. For many analysts, the decision to pick Kovind was a master stroke for Prime Minister Narendra Modi. The Electoral College of more than 4,800 elected members from the Parliament of India and the Legislative assemblies of the States and the Union Territories cast their ballot on Monday. The vote count began this morning and the outcome confirmed expectations. It soon became apparent that Kovind was the favourite, a veteran politician well liked for his neutrality and competence. Recently, he had said that if he was elected, he would “respect the constitution”. 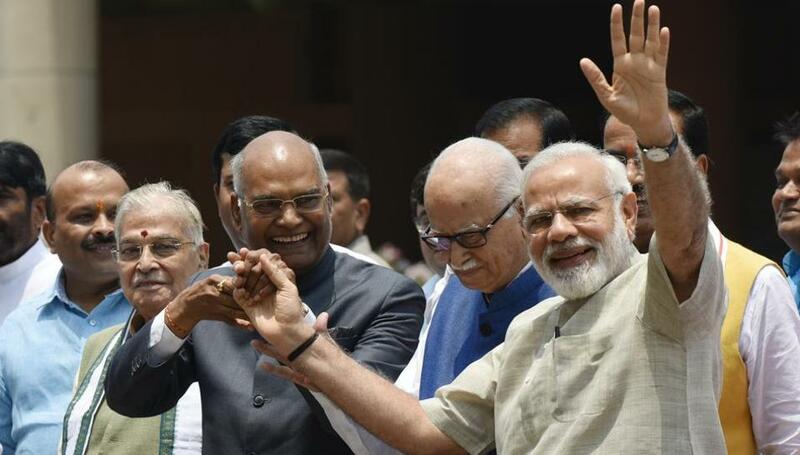 In light of the result, the presidential election shows Modi's political ability in choosing candidates. As was the case recently in Uttar Pradesh, where Hindu nationalists won, Kovind’s choice appears to fit with his government’s plans. The experts agree that the choice of a Dalit candidate bested the opposition, which was forced to find a Dalit as an alternative. Their choice fell on the first woman speaker of the Lok Sabha (lower house) the daughter of a Dalit deputy prime minister, Babu Jagjivan Ram. In India, the presidency is largely ceremonial, although it becomes important in case of a hung parliament. However, Kovind's election is seen as a key stage ahead of the 2019 Union elections. 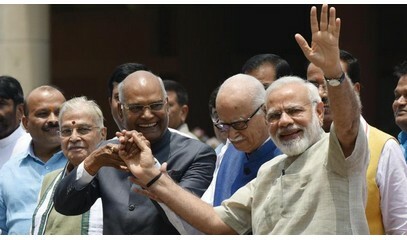 "Kovind will not be an irritant for the Modi government that works with sense of total power, they don't prefer any distraction to their plans,” said one political commentator. His victory could in fact help with about 200 million Dalit voters who represent 16 per cent of the electorate. Politically and socially marginalised, Dalits (once called untouchable) have become an important constituency, more than Muslims who represent 14 per cent.